Customization for Special Requirements: Where Custom Production is needed to help solve a very specific product application, we have been instrumental in providing special shapes, sizes, thicknesses and much more where standard volume produced products do not work best. Custom Produced Products may have volume requirements. Time and costs may vary. We have produced some very interesting products on-time and under budget. A very thorough questioning process is used to understand the exact application, and frequent contact with the client is made throughout the process to arrive at what you have in mind for the right solution for your specific application. Clean It Up is committed to providing the highest quality products and service. With over 20 years experience, our reputation is impeccable. We abide by strict standards to ensure that our products meet or exceed your requirements. Skilled, reliable and accommodating, our team provides high value so you can have – what you need, when you need it. Every order is quality inspected before it is shipped and we strive to keep you informed from order through to delivery. Not everything has been invented yet. Every day our customers challenge Clean It Up with interesting applications needing innovate and well thought out product solutions. Contact us, we might have done it before, if not, we promise a straight forward effort and clear response. 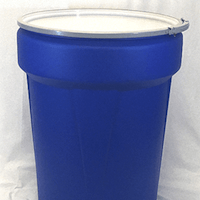 Example (1): A recent inquiry for a special size UN Rated High Density Polyethylene Drum resulted in a specially molded HDPE container that fully meets the customers application and expectations. 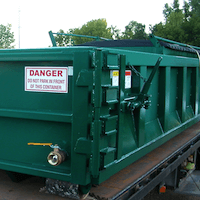 Example (2): It’s not unusual for customers to ask for special sizes and fabrics for steel roll off dumpster liners, dewatering liners and many other special application disposable liners. 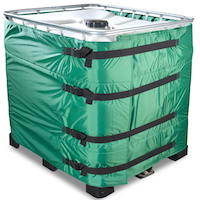 We routinely customize these products to meet the demanding environment the products will be used in. 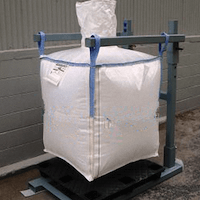 Example (3): A midwest customer of specialty oils and greases required a very special and highly customized size industrial absorbent product to meet a demanding application. We delivered on time and under budget and the products performed to the exacting requirements in each facility. *Depending on the type of product, production minimums may apply.